Unreal Heat is Blended with Molasses. 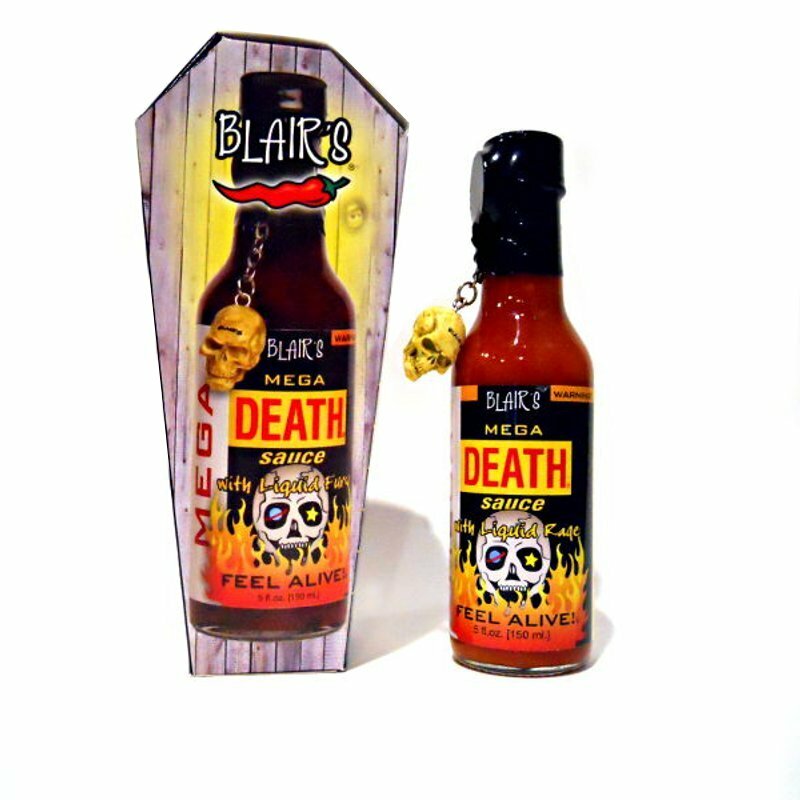 Blair's Mega Death Hot Sauce may fool the mouth in its deceiving heat. Of course as the sweat pours off your brow, and you run around the room like a baby, you know Mega Death was there. Just when you thought it couldnt get hotter, it did. 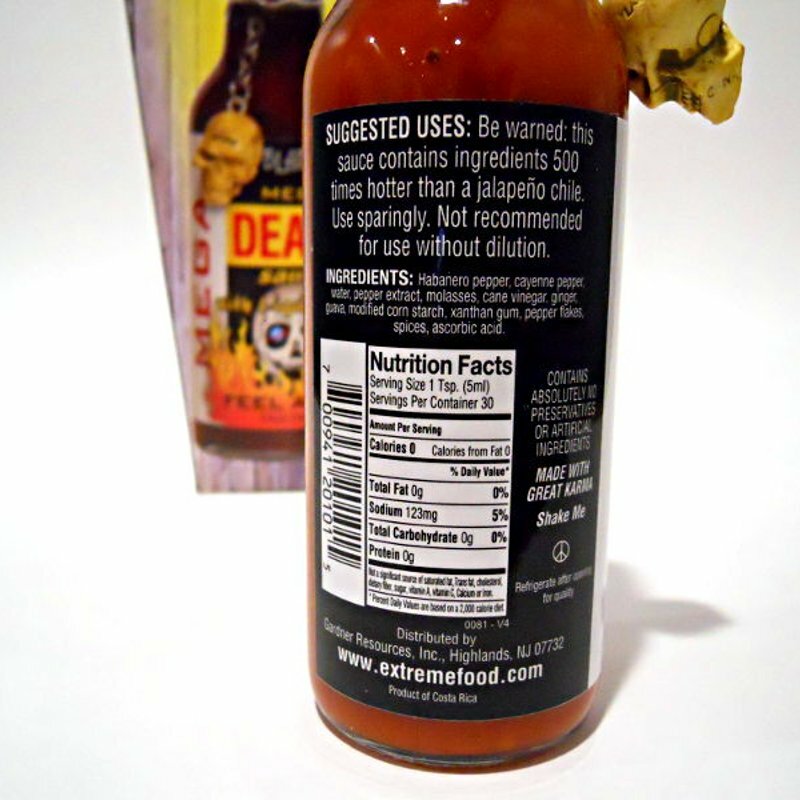 BE WARNED: This sauce contains ingredients 650 times hotter than a jalapeño chili. Use sparingly. Not recommended for use without dilution. Ingredients: Habaneros, Cayenne, Ancho, Extracts in the Millions of Scoville Units, Plus the unique taste of Fresh Ginger, Molasses, and Guava Nectar Wrapped up in a Holographic Labeled Bottle.